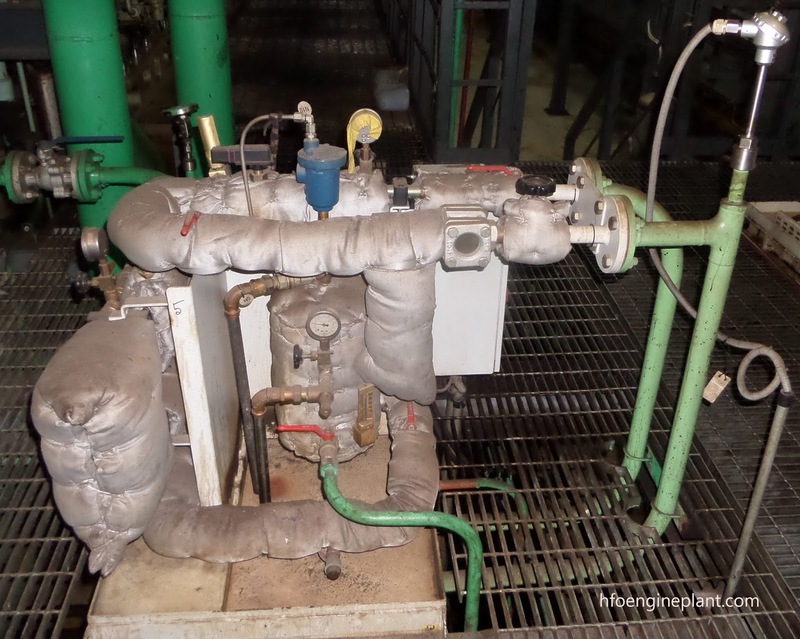 Fuel injection nozzle cooling module used to provide continuous nozzle cooling water flow in HFO power plant used to cool down fuel Injection nozzle. 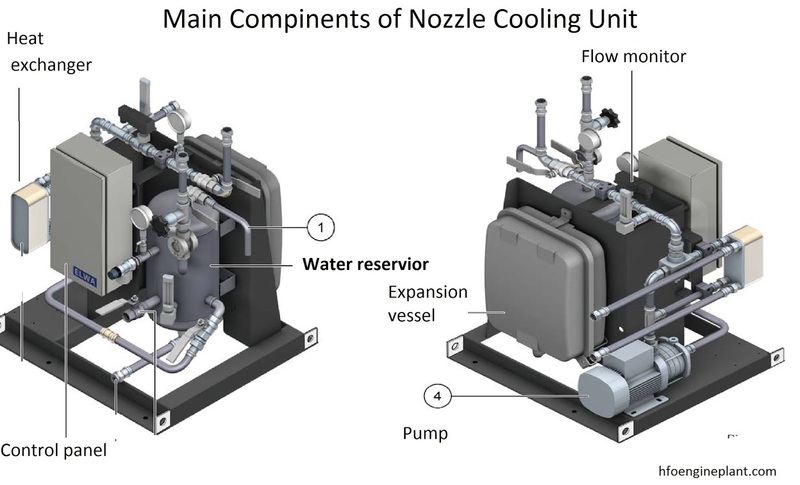 It is very important to cool down the nozzle to reduce wear down of nozzle due to fuel combustion. Different components such as pump, water reservoir, expansion vessel, heat exchanger etc. installed in this module. There are two types of coolant media circuit. 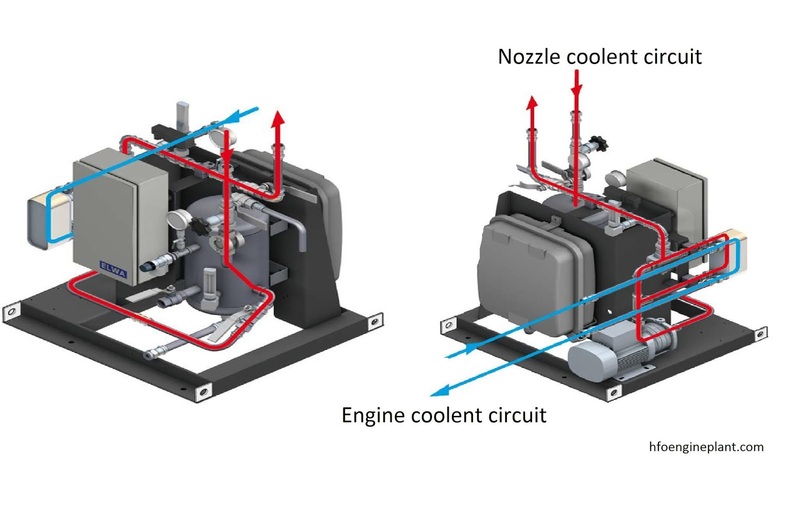 One is nozzle cooling circuit, another engine coolant circuit (to cool down nozzle cooling coolant). Water reservoir preserves the cooling water from there a centrifugal pump draw coolant and pumped to the system. 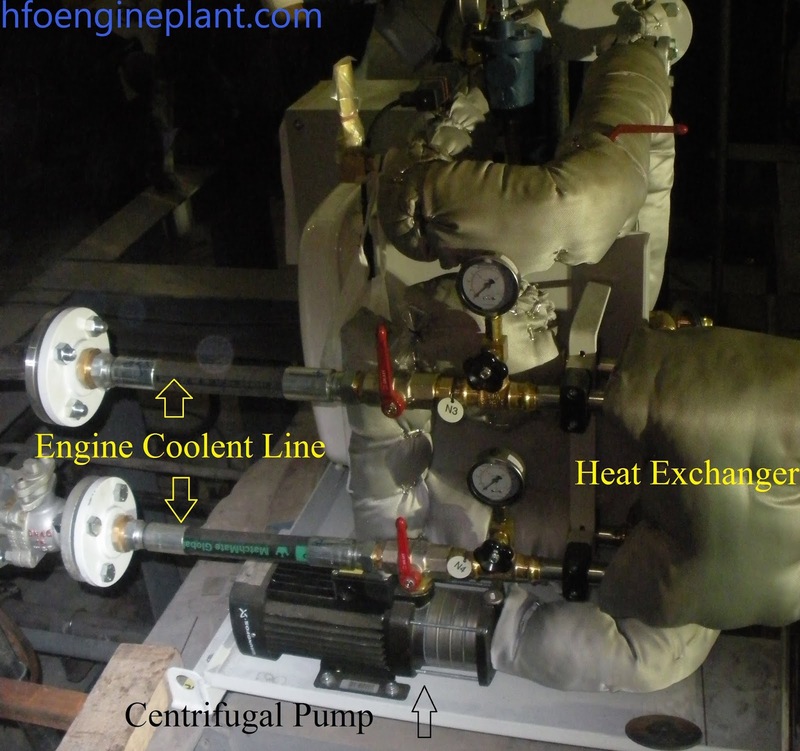 Centrifugal pump pumps the coolant through temperature control valve (thermostat valve) and heat exchanger. The operation of the temperature control valve and the heat exchanger depends upon the temperature of the coolant returned from the engine. 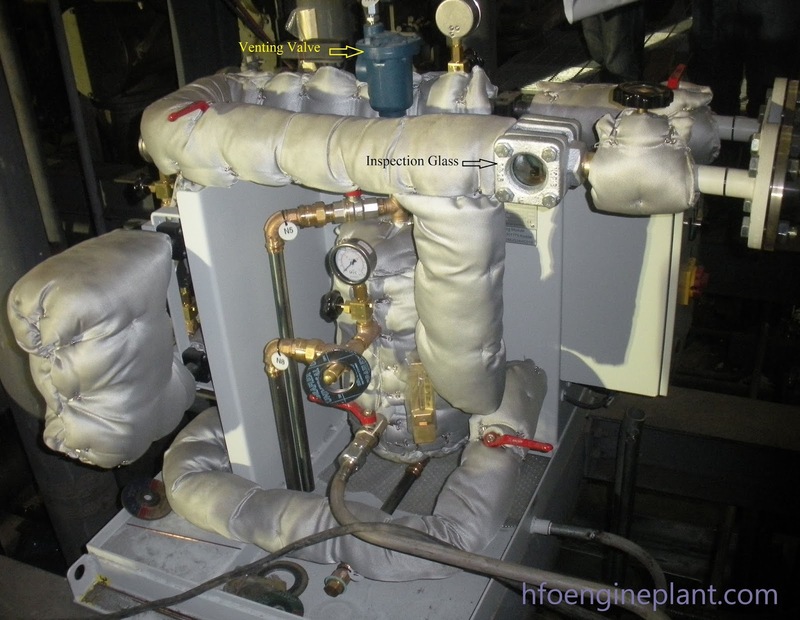 If the temperature is higher than the allowable limit for engine inlet, temperature control valve allows more coolant flow through the heat exchanger. A pressure expansion vessel used to deal with thermal expansion of water as it heats up in fuel injection valve. This prevents water pressure from getting too high and maintain a stable pressure. 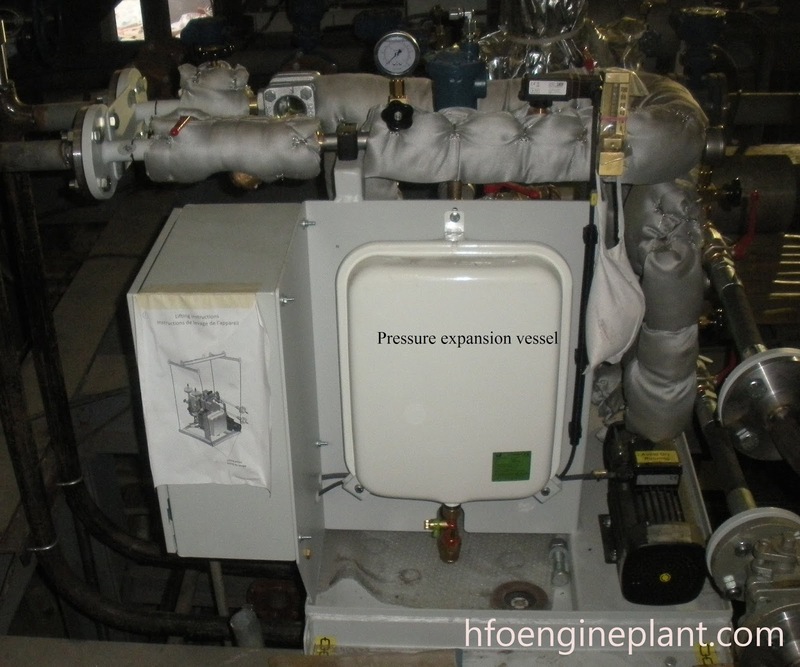 A pressure relief valve also installed on the pressure vessel. There is an inspection glass installed in the engine return pipeline. If the fuel mixed with the coolant, it will be visible in the sight glass. Different types of valve installed in this unit to control the coolant flow. Different types of valves are nozzle cooling inlet and outlet shut off valve. 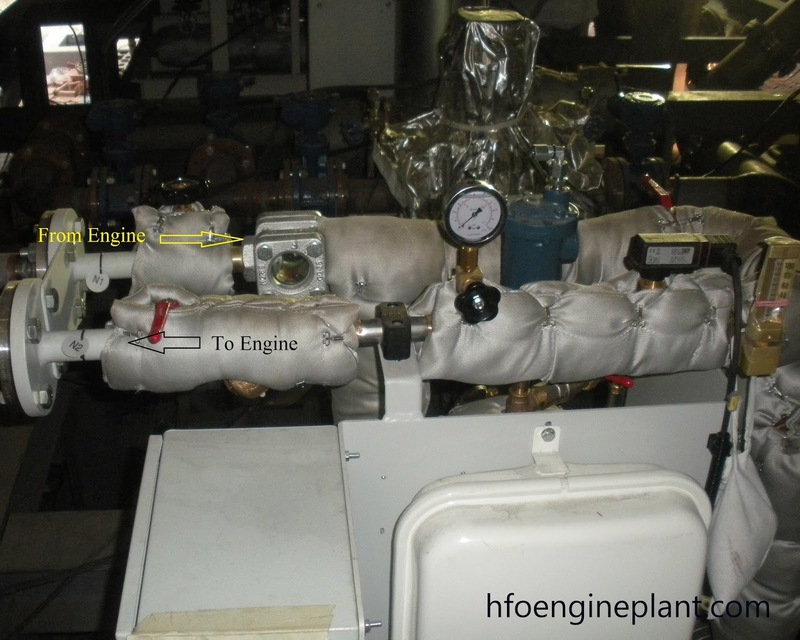 Engine coolant (LT Water) inlet and outlet valve from heat exchanger, Filling and drain line valve etc. In this module different inspection and measurement equipment’s installed. Pressure and temperature gauge (Thermometer), pressure transmitter etc.